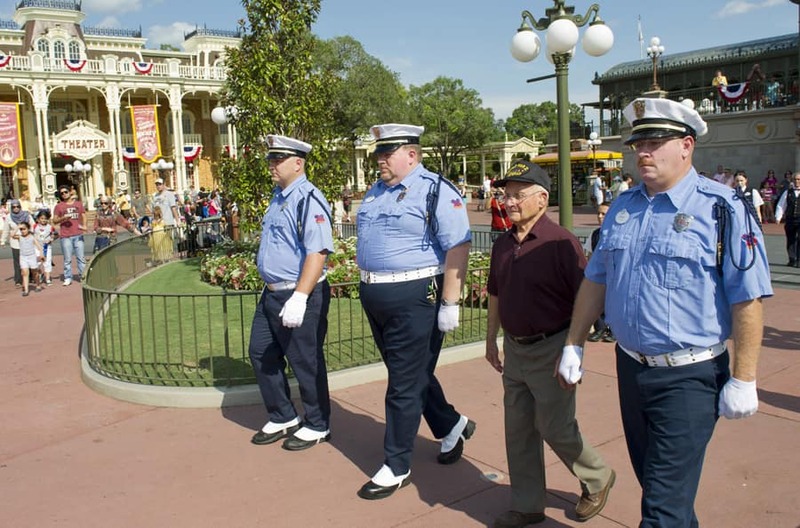 We can’t think of any better way to celebrate the Fourth of July here on the Disney Parks Blog than to share this heartwarming story of a United States veteran who visited Magic Kingdom Park earlier this week. 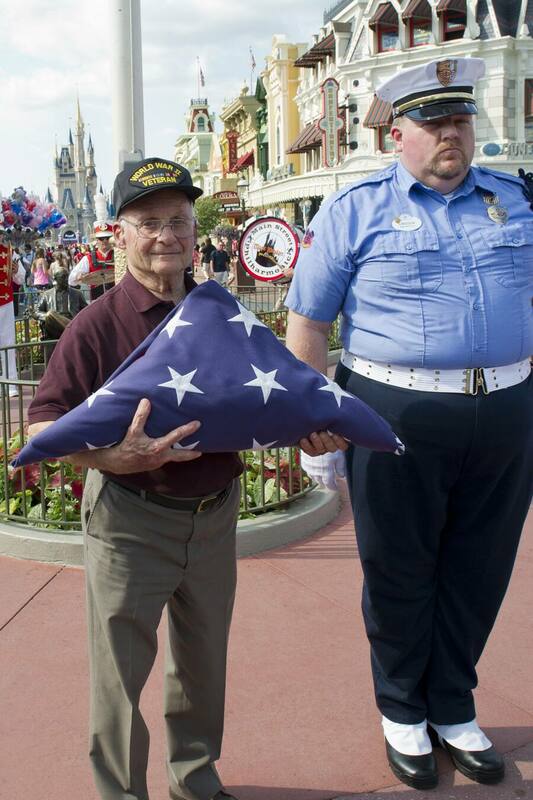 On Monday, World War II veteran and Purple Heart recipient Louis Lessure, 93, was visiting Magic Kingdom Park with his family, when he was chosen to participate in the park’s daily flag retreat ceremony. 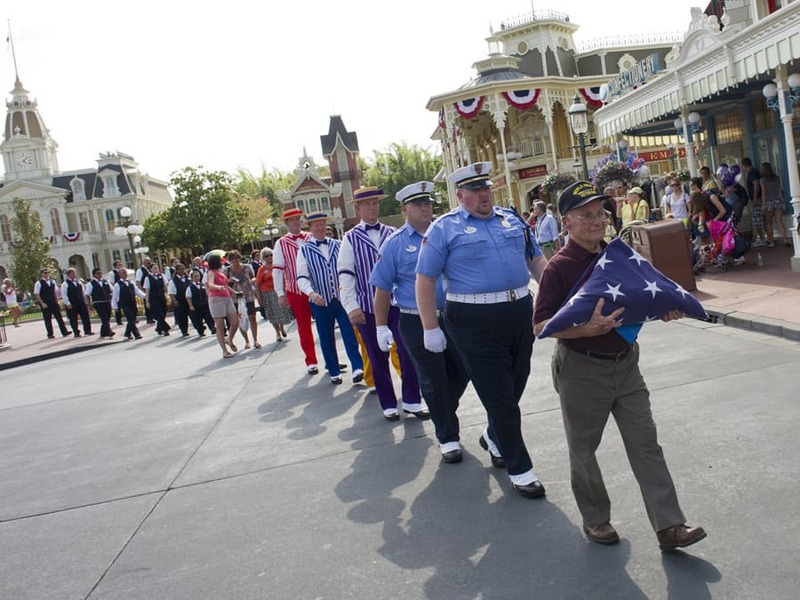 This daily event gives park guests and cast members an opportunity to recognize a member of the U.S. military while he or she assists the park’s color guard in retiring the flag from the flagpole for the night. 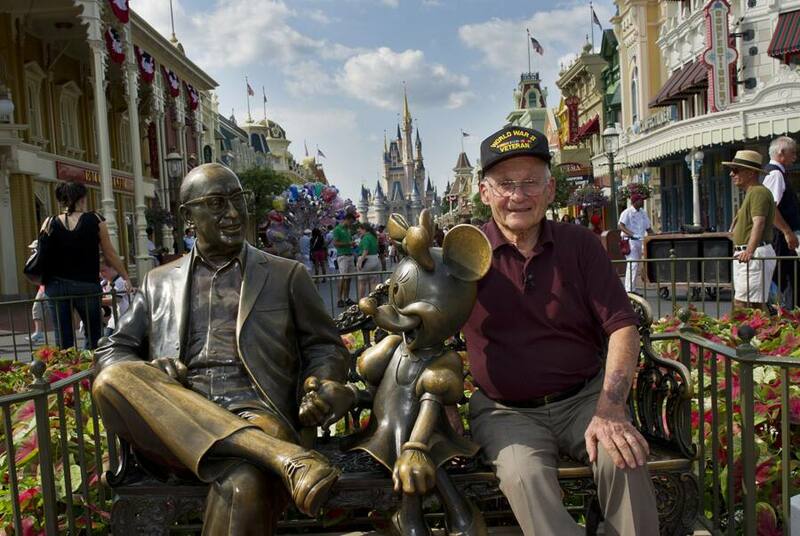 Louis served as a First Lieutenant bombardier in the Army Air Corps from 1942 to 1945. 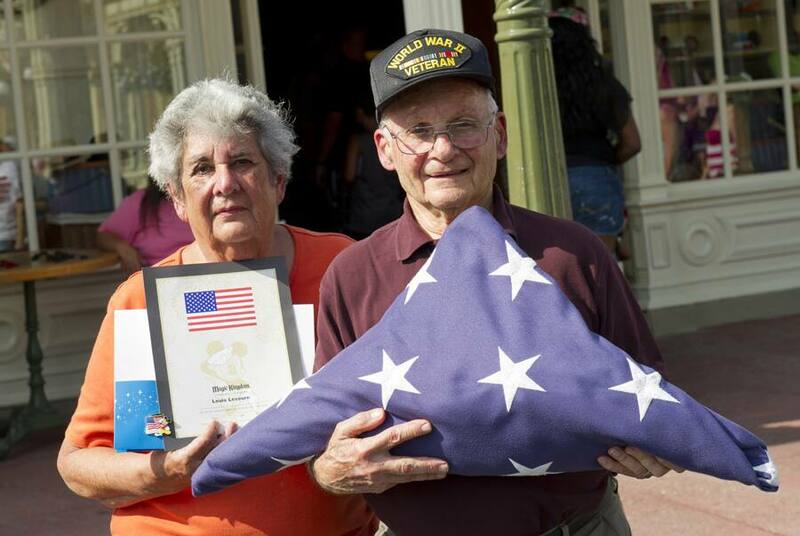 On hand to witness the memorable moment was Lessure’s wife, Sally, whom he wed on July 4, 1951 – a date the couple chose to celebrate not just their love for one another, but their love of country. 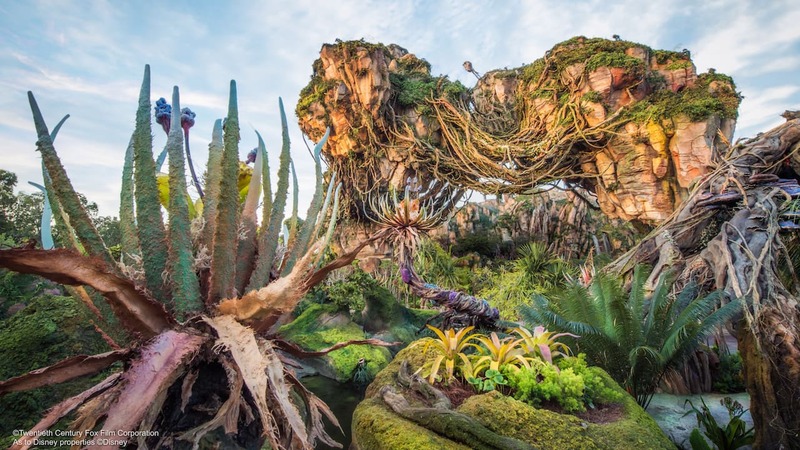 We will be at WDW on 9/11 this year. 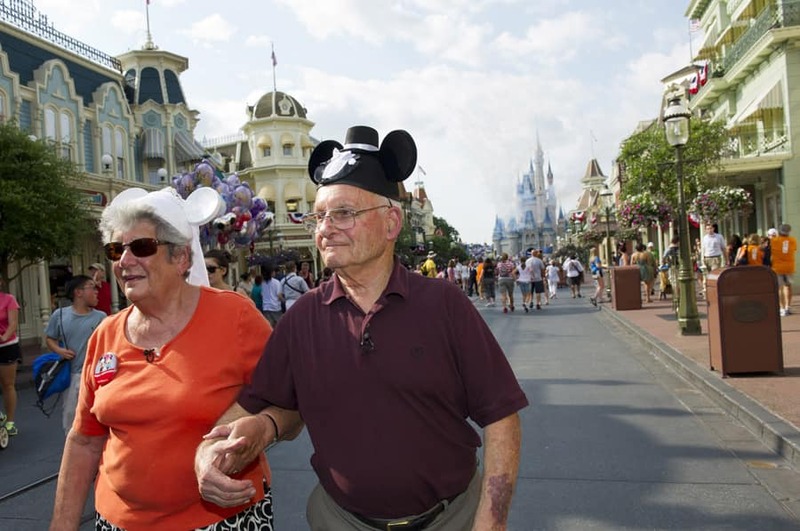 I know last year there was a special ceremony at Town Square in MK with the Voices of Liberty commemorating the day. My question is will there be a ceremony this year, or was that just for the 10 year anniversary? We are planning our days, and if there is going to be a ceremony of any kind (even if just an enhanced Flag Retreat) we want to be sure and be at MK on that day so as not to miss it. Thanks for any help or insight you can provide! Wow! 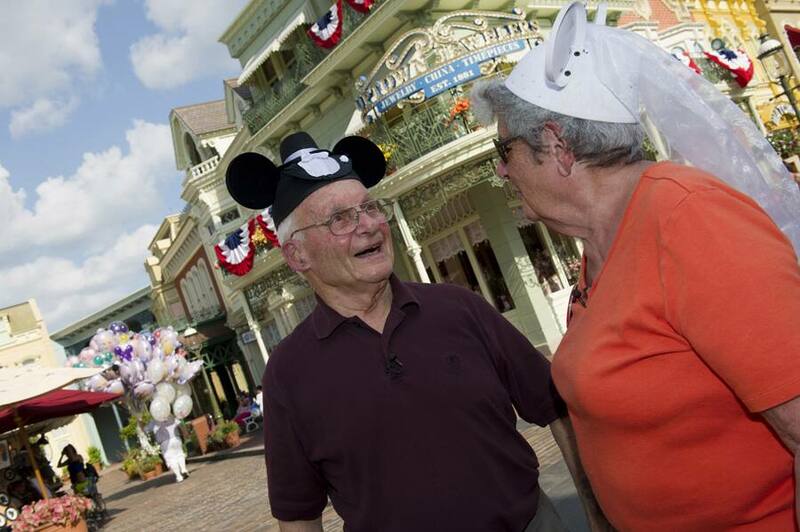 Congratulations on 61 years of marriage. Wishing you many more wonderful years. 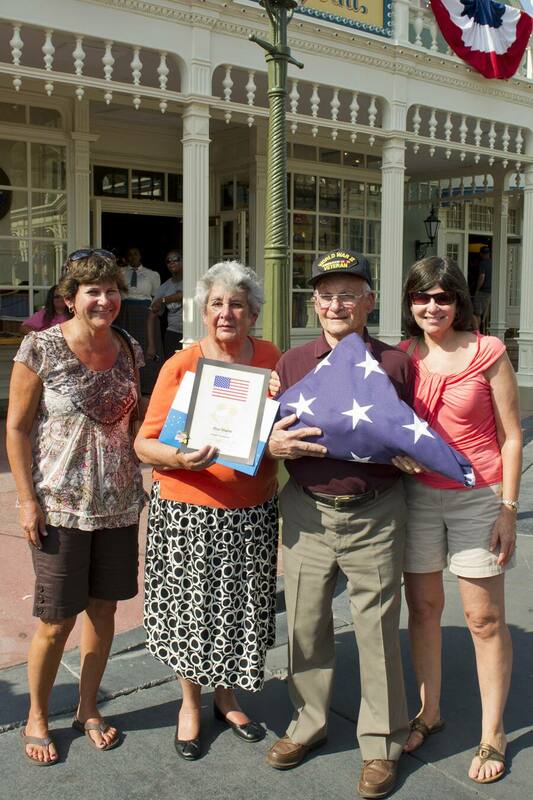 Thank you Mr Lessure for your service to our country. You are a true hero. What a great story! 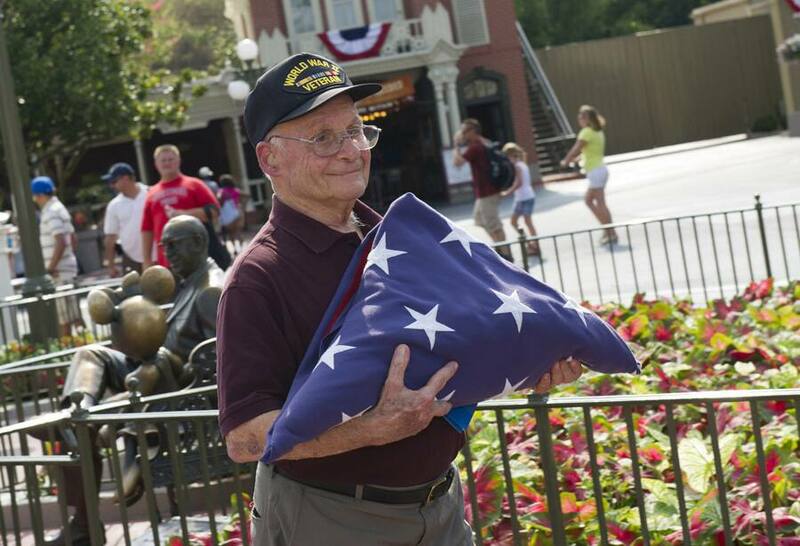 Thank you Louis for all that you and your fellow veterans have done for all of us. And congratulations to you and Sally on your 61st wedding anniversary. Here’s wishing you both many more to come. That is the sweetest thing I have heard in quite sometime! Not only their love for each other but, a love for their country! BEAUTIFUL! Thank you and congratulations on your 61 years of marriage 1st LT Lessure and Mrs Lessure!